Why Do Most People Eat Meat? In the 1950’s, the American psychologist Solomon Asch recruited participants at Swarthmore College (United States) for a now famous experiment. He told them he was doing research on perception, but in reality this was a study about conformity and social pressure. Asch showed the participants a set of pictures like the one below. Hence, the importance of critical mass. Change requires numbers. 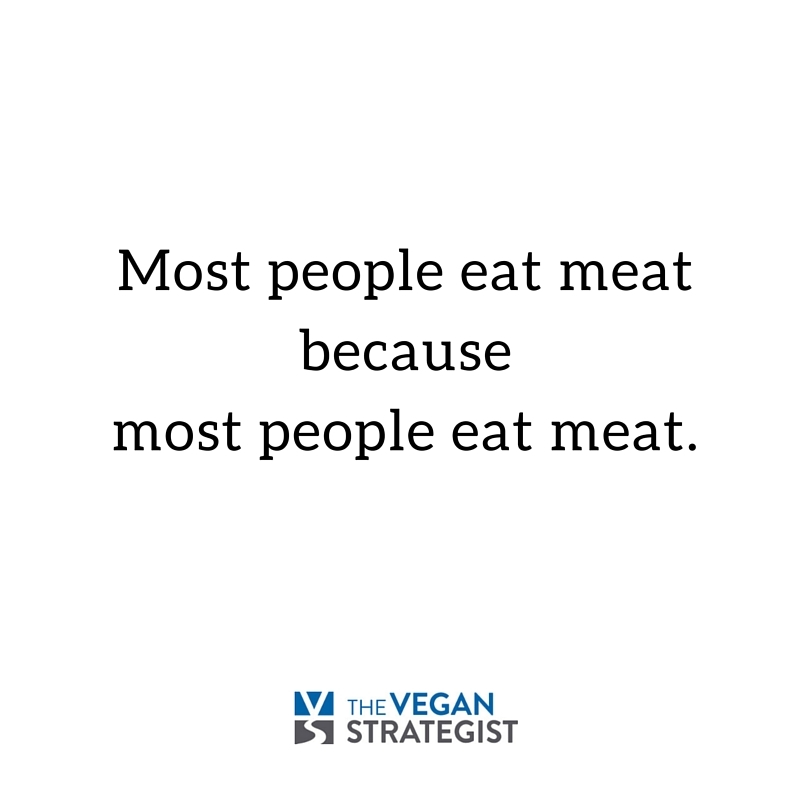 We need enough people to voice their doubts, to show their concern, to not participate, to eat differently, so that others do not longer get the idea that meat is natural, normal and necessary. We’ve written extensively here about why we should focus our limited time and resources on helping farm animals. Here is another article that emphasizes the point again! Also, you might find this interview with Peter Singer to be interesting. Governor Jay Nixon has vetoed Missouri’s ag-gag bill! You can read his statement here, and thank him via this page. It is possible that the legislature will try to override this veto when the session starts in September, so watch this space in case you need to contact your state legislators.